Fluid trademarks are fun and innovative marketing tools for brand owners, but they have the potential to be legally unstable and vulnerable. At present, there is no express protection for fluid marks in Turkey and this gap has the potential to endanger rights holders. In today's highly competitive market, brand owners turn to new and innovative marketing strategies to make their brands more powerful, dynamic and attractive. One prominent example of such a strategy is launching fluid trademarks. In contrast to conventional trademarks, which generally depend on static words and pictures that consumers can distinguish and link together, fluid trademarks vary continually. Fluid marks have a fundamentally interactive and remarkable nature and these characteristics contribute to an enduring connection between marks and consumers. Fluid trademarks are temporary and dynamic, with the mark’s appearance changing for a limited time before returning to the principal, original outlook. In Turkey, one of the best-known examples is the trademark TADELLE. Chocolate brand Tadelle released packaging using expressions such as ‘love’, ‘hug’, ‘fun’, ‘scream’ and ‘smile’ in Turkish. The packaging was identifiable among customers as belonging to Tadelle because the core mark’s font and colour were used. Tadelle chose to register each variation and filed more than 50 trademark applications. Another familiar example is Yeni Rakı, a popular alcoholic beverage in Turkey. Yeni Rakı has been regularly and effectively changing and developing its bottle designs to make it intriguing and exciting for customers. The Yeni Rakı bottle is easily distinguishable regardless of its graphic designation because the underlying characteristics remain obvious to customers. The protection of fluid trademarks is a controversial issue throughout the world. In Turkey, there are no explicit regulations regarding changeable trademarks, therefore several perspectives need to be evaluated to establish the Turkish position. Fluid trademarks are not explicitly mentioned under the trademark section of the Industrial Property Law. At present, there is no way in which a trademark owner can register all variations of a fluid trademark in a single application with the Turkish Patent and Trademark Office. Regulations in Turkey allow for a single application to cover one trademark. Despite relevant regulations in the United Kingdom and India, it is not possible to register fluid marks as a series of marks in Turkey. In practice, registering the separate variants of a fluid trademark is often impractical and unnecessary. A fluid mark should be timely, temporary and dynamic. Considering the lengthy and costly trademark registration process, as well as the continuous use requirement, it makes little sense to register variations of a mark. A trademark owner can still register the principal mark and rely on a mixture of trademark rights, copyright protection, design rights and competition law provisions. This combination of rights is usually considered sufficient for the protection of short-lived fluid marks. Fluid trademarks are often highly visual; therefore, a variation may also be eligible for copyright protection. In Turkey, copyright is regulated under the Law on Intellectual and Artistic Works. There is no need to register copyright protection. Fluid marks can be protected by copyright provided that the variation is new and possesses individual character. There is no continuous use requirement in copyright law. Provided that the creation is original, it can be protected under copyright law. On condition that the design is new and distinctive, it is protected under the rights set out in the design section of the Industrial Property Law. The term of protection for designs expires after 25 years for registered designs and after three years for unregistered designs. Design regulations allow for the possibility of protecting numerous fluid variations and may be an alternative to trademark registration. A fluid trademark can still be protected in Turkey even if a brand owner cannot obtain national registrations for all variations. Unregistered trademarks are afforded protection under the Turkish Commercial Code, and fluid trademarks may enjoy protection as unregistered trademarks. There is currently no express protection for fluid marks in Turkey and this gap has the potential to endanger rights holders. Various legal risks arise from the dynamic nature of fluid marks, which can easily lose their association with the underlying original mark. Pursuant to Article 9 of the Industrial Property Law regarding trademark use, the use of a mark with different elements without changing the distinctive character is considered to fall within the scope of trademark protection. This gives rights holders some freedom to make limited modifications to their trademarks. However, if the mark’s distinctiveness is altered by the creation of a fluid mark, then the fluid mark may be deemed not to fulfil the original function and could become vulnerable to cancellation. This situation may lead to the unregistered variant being unprotected or may even cause the original mark to be cancelled since it has been drastically modified. When using fluid trademarks some precautionary steps are advisable. The underlying mark should be strong in order to minimise the risk of consumer confusion. The strong underlying mark should be registered and continuously used in its original form. Additional protection, such as copyright and design law, should also be considered. Another good practice is to conduct a clearance search before launching trademark variations in order to ensure that the upcoming fluid marks do not infringe other trademark rights. Fluid trademarks are fun and innovative marketing tools for brand owners, but they have the potential to be legally unstable and vulnerable. Pure fluidity may be achieved through close collaboration and a multi-perspective approach from creative marketing teams and dedicated lawyers. 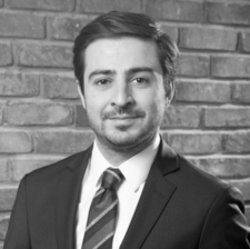 Ahmet Akguloglu is the head of ATG Law Firm’s IP department and sub-departments, including the IP litigation, IP prosecution and investigations teams. He deals with all IP matters, including prosecution, litigation, enforcement, dispute resolution, unfair competition and client counselling, as well as strategy in a range of legal actions in Turkey and overseas. He graduated from Istanbul University, Faculty of Law. Mr Akguloglu has bilingual proficiency in English. He is a member of the Istanbul Bar Association and a registered trademark and patent attorney before the Turkish Patent and Trademark Office. He also acts as a panellist before the National Arbitration Forum in domain name disputes and is a member of the Parallel Import Committee of INTA. Virna Eliş is a member of the IP department at ATG Law Firm. 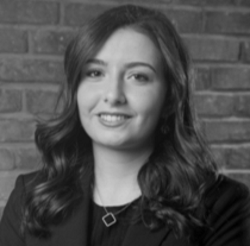 She focuses on IP law for criminal and legal processes. Ms Eliş provides consultancy on trademark law to domestic and foreign clients throughout research, investigation, prosecution and litigation. She graduated from Koç University, Faculty of Law and is a member of the Istanbul Bar Association.